Morning, guys. I am so excited to share this recipe with you all and by the sound of it, I think my IG friends are too! These are truly to-die. 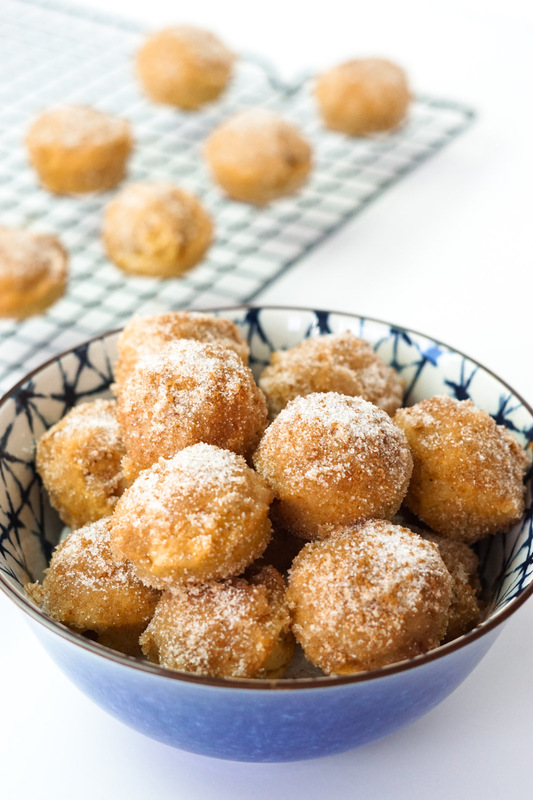 And who knew you could BAKE donuts in a mini muffin pan?? I assumed they’d be much drier than your standard donut shop fried donut but nope, just as good. If not better. 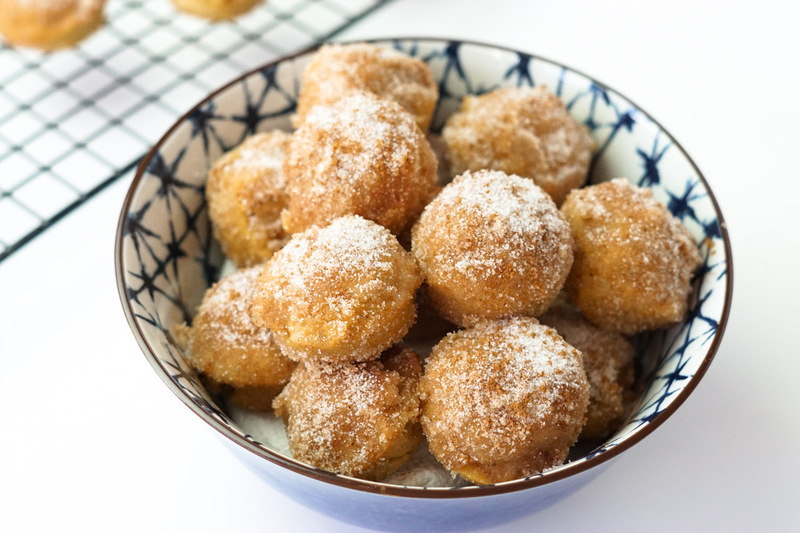 Can we also talk about how easy these are to make… It’s one of those recipes where once you have the ingredients and spices, then they only take 15 minutes max. 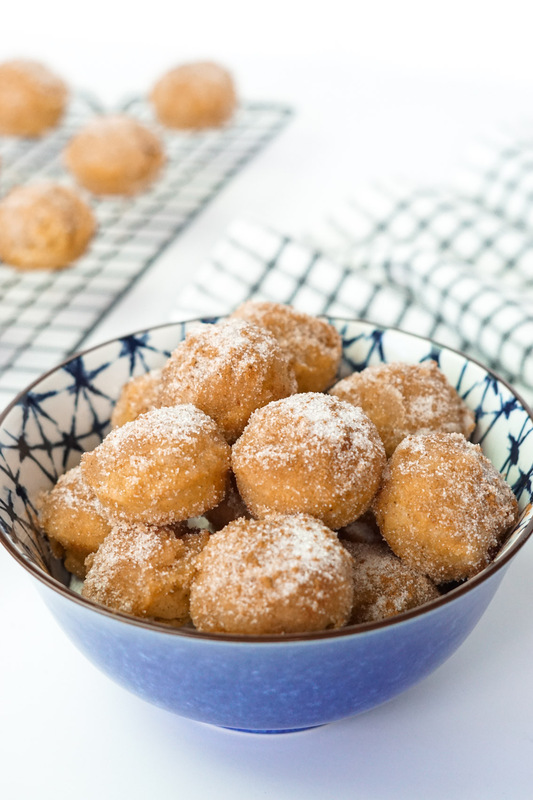 I have a feeling I’ll be making these donut holes more than once this fall! Be sure to let me know if you make these so we can drool over them together. 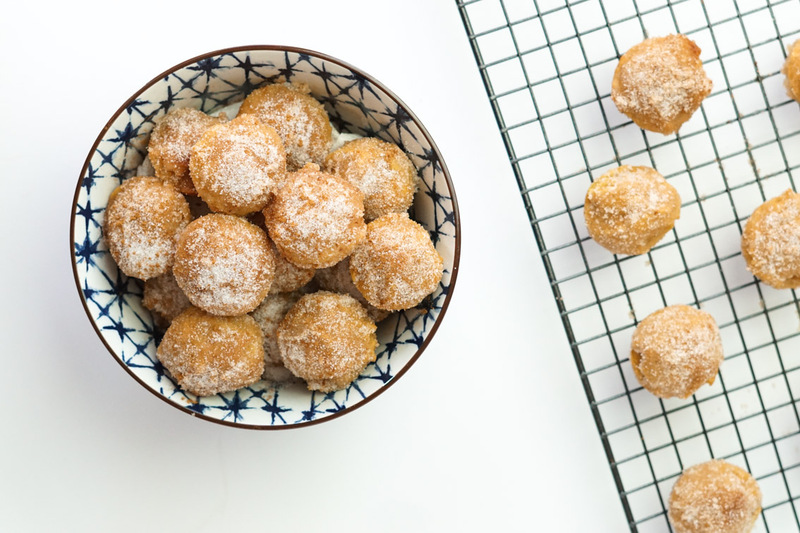 Also — share your donut recipes with me, please! Now that I know that I can make them without frying oil, I am ready for round 2. I’m off to a birthday party soon then I’ll be shooting another fall recipe later today.